That wrist-worn computer you've got there – it counts your steps, it displays notifications, it monitors your pulse, and yes, it even tells the time with utmost accuracy! But what if we told you that it can do a lot more than all that? Yup: smartwatches may be small in size, but they pack a whole bunch of sensors and hold enough processing power to run useful apps – apps that help you stay fit, that let you find your way around, that help you follow the latest headlines, that make using your smartwatch more fun. 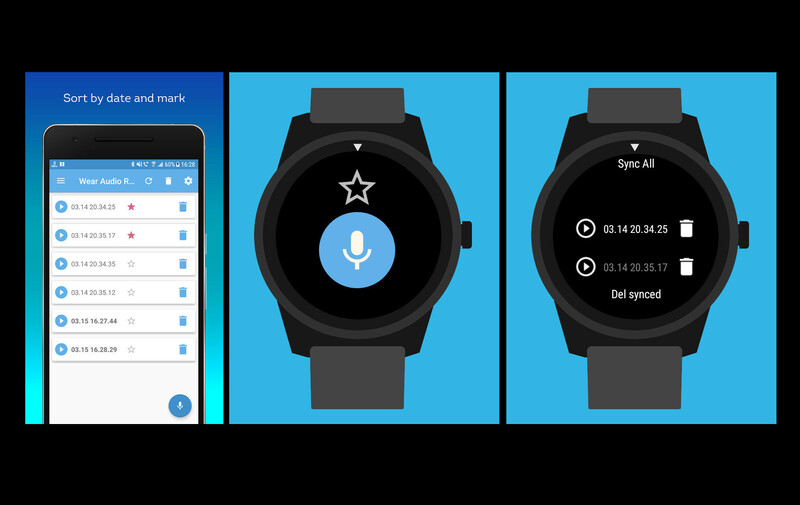 Smartwatches powered by Google's Wear OS – the LG Watch Sport, the Huawei Watch 2, and the Skagen Falster, to name a few – have access to the Play Store and its rich software catalog. 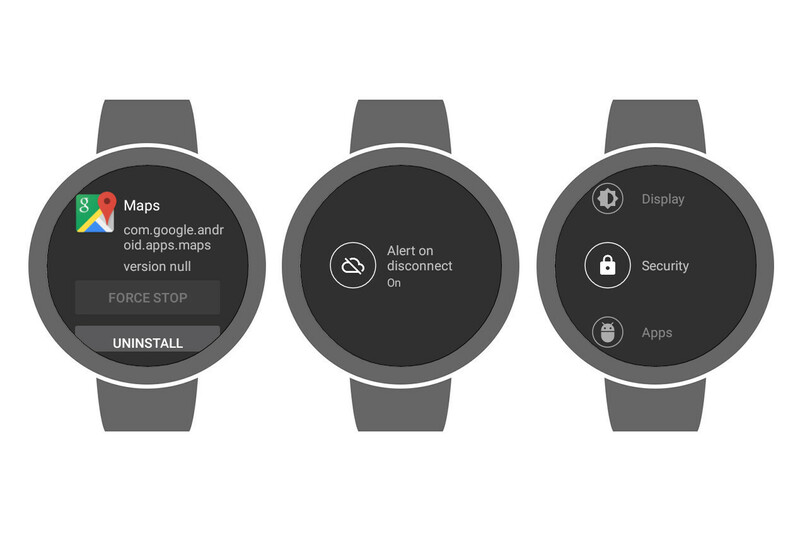 Formerly known as Android Wear, the platform has not only plenty of watch faces to offer, but also has thousands of apps waiting to be downloaded. We ran through a whole bunch of them so that we can now highlight the ones worthy of your attention. Do you know of any cool Wear OS apps that we've missed? Let us know in the comments! Pen and paper? Perhaps it is time to leave them in the last century. Here is an app that lets you quickly create multiple shopping lists that you can share with your fellow household members. There is no need to type items manually. Instead, you just tap on the things that need to be picked up. 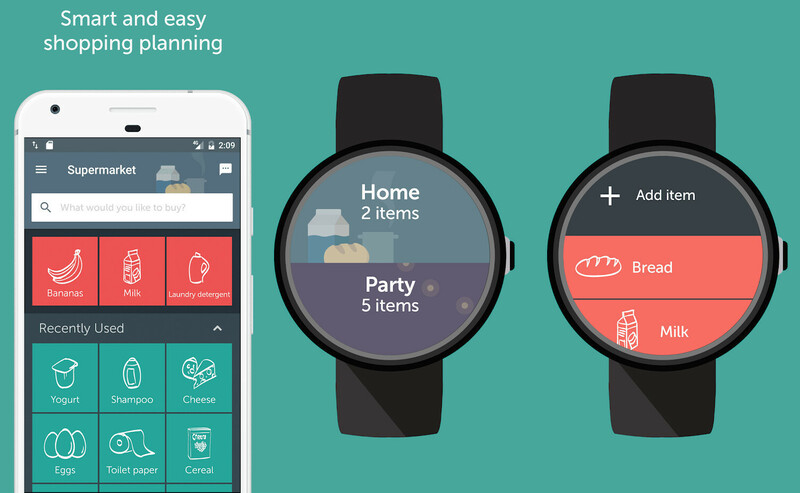 The smartwatch app lets you easily add new items or mark the ones you have as picked. Google Maps needs no introduction – it is an app that you should already have on your smartphone. 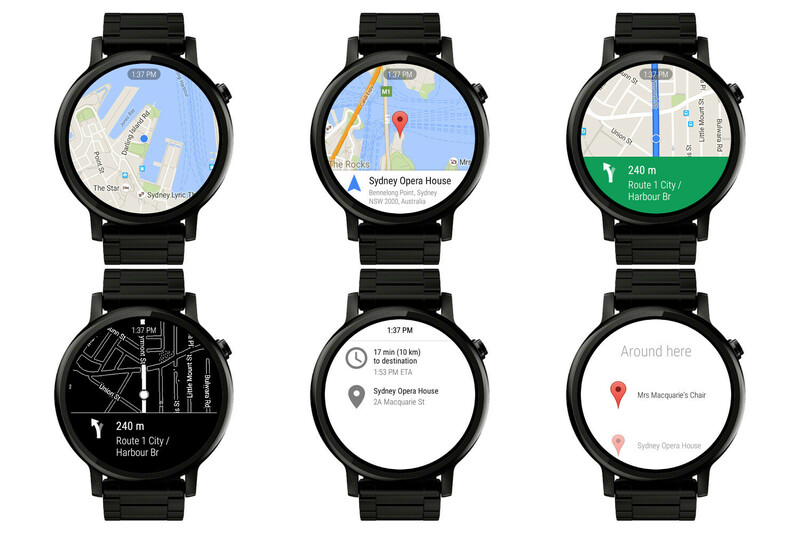 Downloading it for your Wear OS smartwatch as well would allow you to keep track of your route without the need to take your phone out, as directions are automatically shown on your smartwatch's display. The app supports ambient mode, meaning that navigation data is displayed even with your watch in standby. And while wandering around, you can find a nice place to eat or have coffee at using the Foursquare app. Naturally, its Wear OS version is much simplified. "What are you in the mood for?" 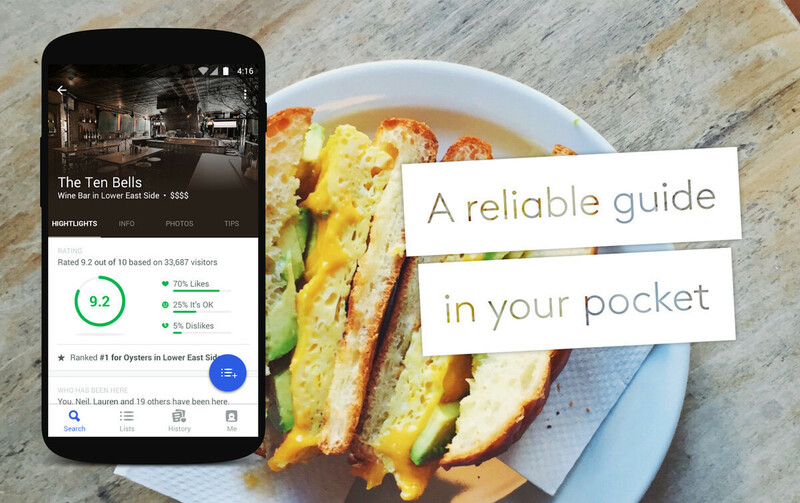 the app asks, and you pick from a list, depending on whether you're searching for a coffee shop, a restaurant, a shopping mall, or you simply want to see what locations are trending near you. Citymapper is a transit app designed to help you get around the city using the most efficient means of public transport available, combining bus, subway, train, ferry, taxi, car share, bike share, and plain ol' walking. The Wear OS version of the app gives you step-by-step directions and real-time alerts, letting you know when it's time to hop on or hop off. The service isn't available everywhere, but many major cities are covered, including New York City, Los Angeles, the San Francisco Bay Area, Boston, Seattle, Philadelphia, Chicago, and Washington DC. 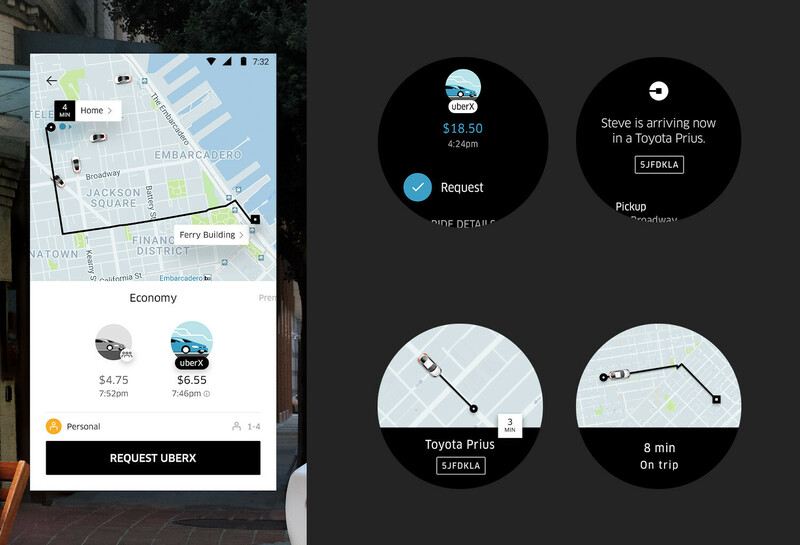 If you use Uber frequently, consider trying the service's Wear OS app. 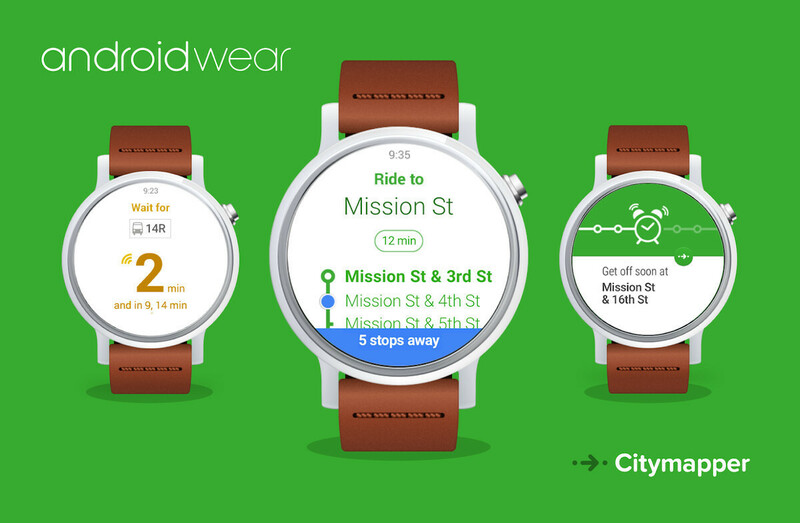 It lets you call a ride straight from your watch, as you can imagine, and you can monitor the arrival of your driver from your wrist. Neat! Exercising – nobody got time for dat! That's why we have apps like Seven, guiding us through a brief yet vigorous workout, and it all happens on the smartwatch on your wrist. Animations display what the exercise looks like, and light vibrations let you know when it's time for a short break. Strava is both an exercise companion and a social service allowing you to share your workout sessions with the world. A quick tap of a button activates Strava's activity tracking features – the app traces your run and monitors your pulse. 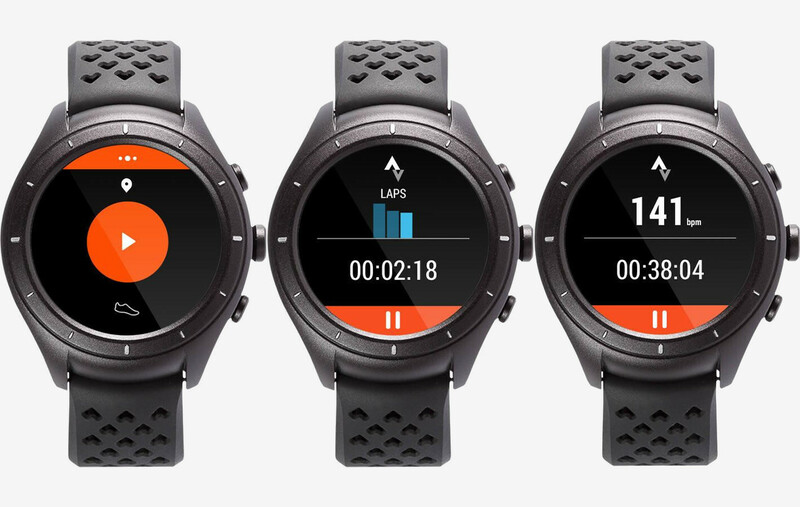 The Wear OS app lets you toggle between running or cycling. What's the song playing on the radio right now? 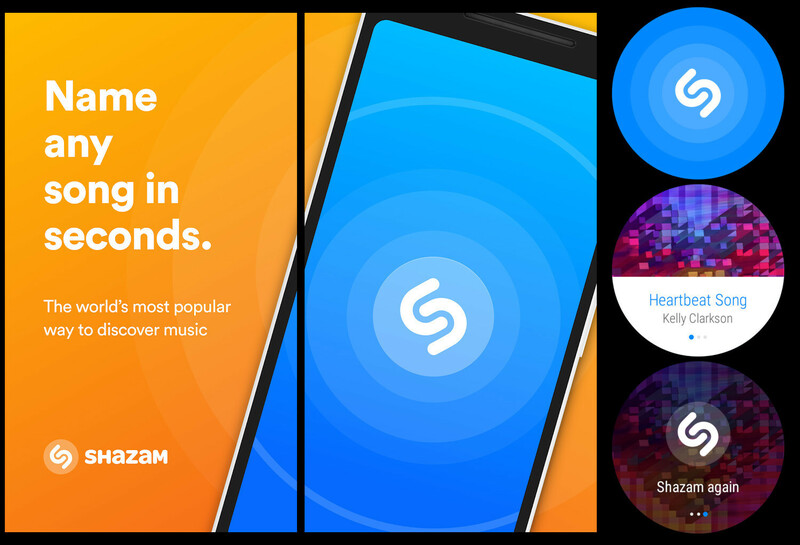 You can have Shazam listen to it and then give you the answer. Sure, the Google Assistant can also help with this, but Shazam will also keep track of the songs you've searched for. 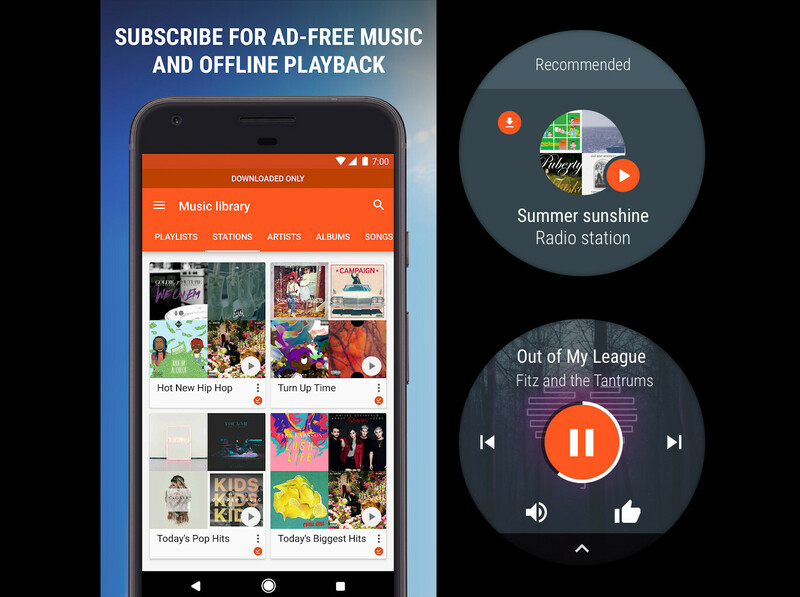 Google Play Music does not only let you stream your favorite tunes and listen to them through a pair of Bluetooth headphones. The app lets you download tracks for offline listening, as long as your Wear OS smartwatch can technically handle that. And offline music can be really nice having during a lengthy exercise. 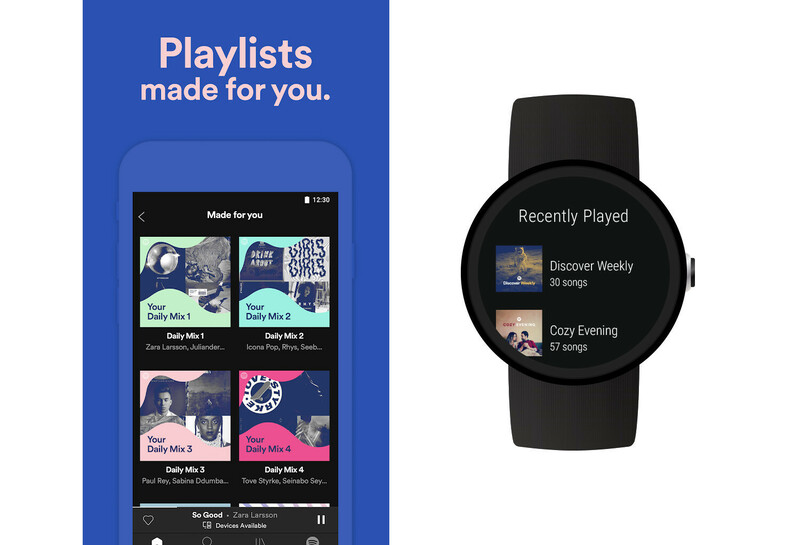 While Spotify on Wear OS won't let you have your music saved offline, the app will let you have quick access to your playlists and music controls – perfect for when you're resting in the couch with Spotify playing on your Chromecast, and you can't be bothered to reach for your phone if you just want to skip a track. 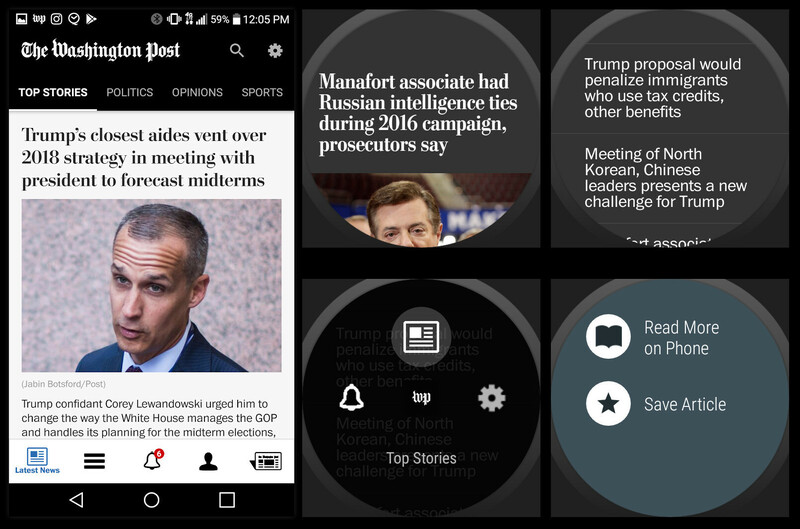 If you want to be able to catch up on the news straight from your smartwatch, the Washington Post has a nice companion app for Wear OS. It lets you scroll through the latest headlines, then read them on your watch if you want to or open/save them on your phone for later reading. We've all been in a situation where a sound recorder would have come handy. This simple audio recording app starts capturing sound as soon as it is opened, making the process super easy – and discrete, too. Logged audio is synced with your phone for playback later. 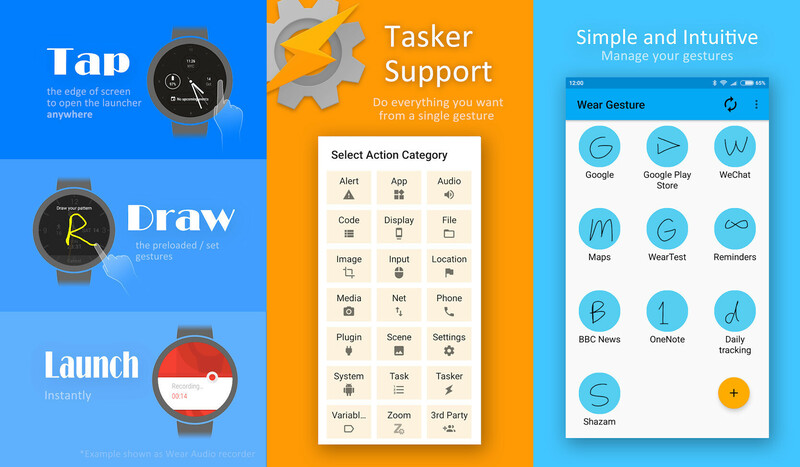 If you consider yourself a tinkerer, you're likely to find this app useful. It gives you access to many advanced controls over your Wear OS device, especially if it has been rooted. If you don't really know what that is, consider getting this app solely for one of its features – it will emit a vibration when your phone and watch are disconnected, minimizing the chance of accidentally losing or having your phone stolen. And speaking of advanced controls, this is an app launcher that uses gestures to activate apps, sparing you the need from swiping through the apps list. For example, I have my watch set to launch the flashlight app when I draw a circle on my screen. WearOS is not at all like the original Android OS used for smartwatches before. Is a way improved version.. So all smartwatch makers like Motorola, Fosil, LG, Google and a few other brands will be using it.. Samsung may or may not eventually give into it, but for now they are sticking to TINZEN. The new WearOS is actually a better version than what Samsung uses, and if it continues the path its on, It will eventually become a solid competitor to Apple's Smartwatches. 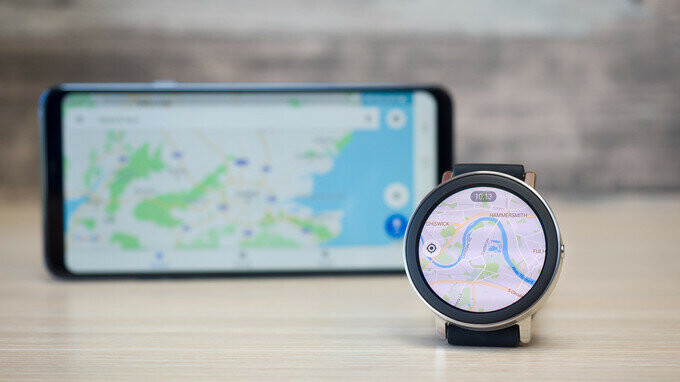 This article is wrong - google maps doesn't work on the galaxy watch.